My Magic Cleaners is a company providing professional carpet cleaning services in The Cotswolds and Cheltenham. We use the latest carpet cleaning equipment which will transform discoloured carpets into a clean and fresh surface. We will check the material of your carpets and then we will use the right detergent. My Magic Cleaners use only eco-friendly detergents so you do not need to worry for your safety. Our carpet cleaning team are trained professionals, capable to provide you a service which is unmatched by our competitors. Wherever you need carpet, upholstery, mattress or curtains cleaning you will be pleased with us. Booking with us is very easy. Just press BOOK NOW. and you will get an instant quote with 5℅ off by filling our online calculator. · We always arrive on time and equipped with the necessary machinery and eco carpet cleaning products. · Then our carpet cleaners Cotswolds will determine the extent of contamination and stains. · Carpet are treated in advance with the vacuum cleaner to remove larger particles and accumulated dust. · Spots are pretreated using special stain removal agents appropriate to the type of stain. · Our team uses the power of steam to extract deep penetrated dirt from the base of the flooring. · Before we leave, you will be able to see the results achieved and to share your opinion. We have no doubt that you will be satisfied with our work! · Your carpets will be cleaned by experienced and reliable carpet cleaners. · We use modern equipment for carpet cleaning. · Your health is important to us. Therefore, our team used eco detergents that are completely safe for you, your family and your household. · You can count on us for cleaning after hours and even on weekends without any extra service cost! 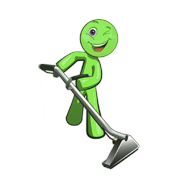 · We guarantee that you will receive the carpet cleaning which you’ve paid for. No hidden cost. Contact with us is quick and easy! Call us at 0333 366 1238 or get a free quote. the best in cleaning of your home or office. Trust us and call us now!